LONDON (AP) — The chances of Britain and the European Union striking a Brexit deal on their divorce are rising, one of the bloc’s leaders said, amid reports the two sides are moving closer on the fraught issue of the Irish border. Negotiations faltered after the EU said last month that British Prime Minister Theresa May’s proposal for post-Brexit economic relations was unacceptable. The two sides spent days trading bad-tempered barbs, with EU leaders demanding an apology after British Foreign Secretary Jeremy Hunt compared the bloc to the Soviet Union. But officials have been meeting behind the scenes before a key summit in Brussels on Oct. 17 and 18. EU leaders say there needs to be major progress at the meeting for there to be a deal before Britain leaves the bloc on March 29. A tentative meeting has also been penciled in for November if there is still work to be done. A deal needs to be sealed within weeks if the European and British parliaments are to have time to approve it before March. The main obstacle is ensuring there are no customs posts or border checks along the frontier between the U.K.’s Northern Ireland and EU member Ireland. Both sides say the border must be kept open, but haven’t agreed on how that can be accomplished. The Irish border impasse has heightened fears that the U.K. could find itself crashing out of the bloc without a deal. The U.K. government has acknowledged that could leave planes grounded and trucks backed up at British ports. 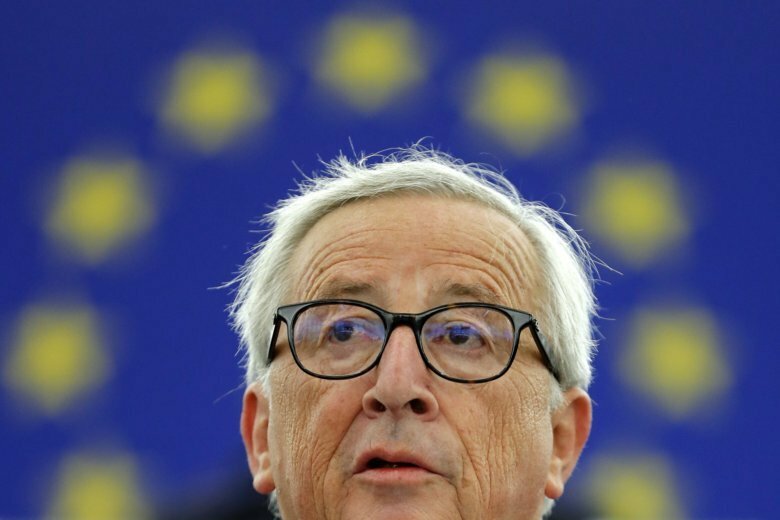 Juncker said a “no-deal” Brexit would be bad for both Britain and the EU. “Our will is unbroken to reach agreement with the British government,” he said. Monika Scislowska in Warsaw contributed to this story.